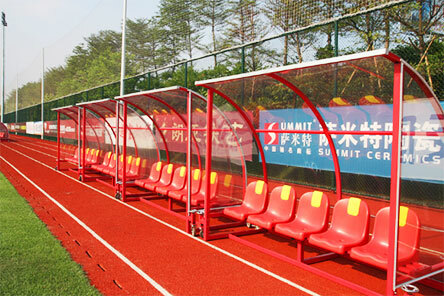 ACT sports provide good quality substitute bench/ team shelter/ sports dugouts for global valued clients. They are designed to complement or be an attractive addition to your real grass or synthetic grass pitch development. All team shelter and sports dugouts frame work is fully galvanized. And the shatterproof high grade poly carbonate has an anti climb design. 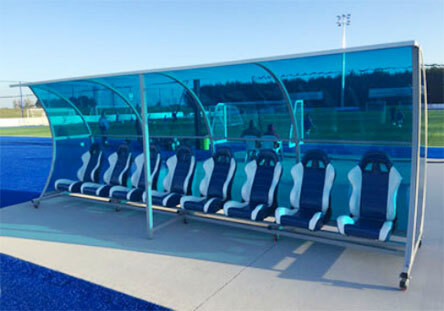 With high grade plastic seats, aluminum planks or bucket seats options, our sports dugouts and team shelters are the best value for your choice. 2.On grass field or cement floor. 1.Shatter-proof, heavy-duty, all weather applicable. Easy installation. 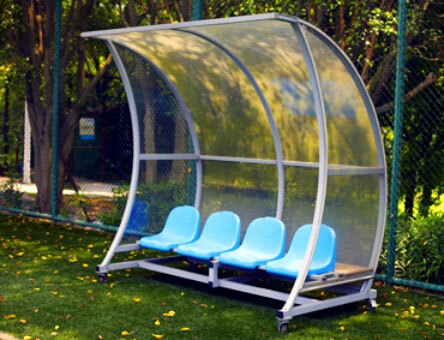 2.Frame are fabricated by high quality galvanized steel with powder coating. 3.Seats available from 2 to 12 seater to meet different requirements. 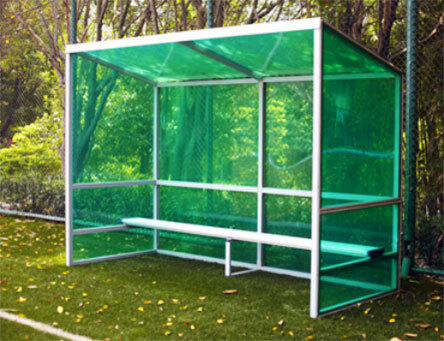 4.Use impact proof high grade poly carbonate sheets with UV resistant as sun panel.